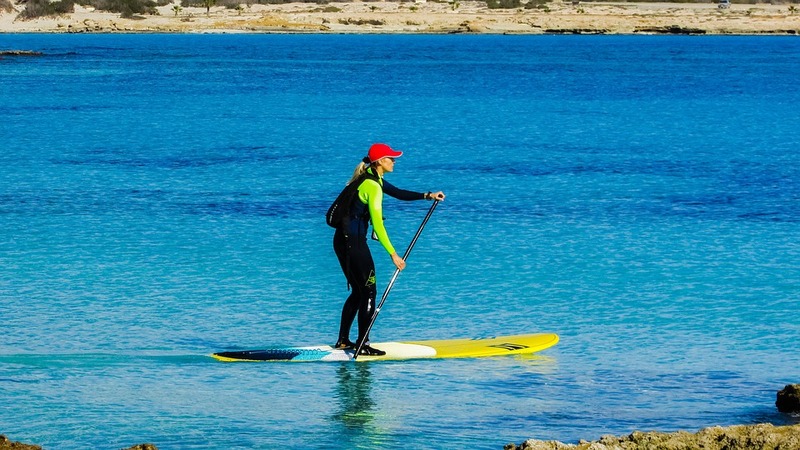 The SereneLife paddle board provides affordable and straightforward access to the great fun which is paddle boarding which is hard to contend with, especially because it appears to be on a permanent sale. With a square tail, a flat bottom and rounded nose, the SereneLife Inflatable is a classic leisure board, fit for still water bodies. The 10-inch board is a small-sized, all-rounded SUP, which means it’s less stable and best suited for light-weight paddlers. It’s a great alternative for families who are not too keen with their gear and who are not sure of the duration to use it. However, it doesn’t provide high levels of glide performance and stability since it’s made of low-quality plastic, which makes it difficult to move around because it doesn’t come with stern and bow handles. This paddle board comes with everything you require to go out on the water still, and, once you are out there, the details don’t matter at all. 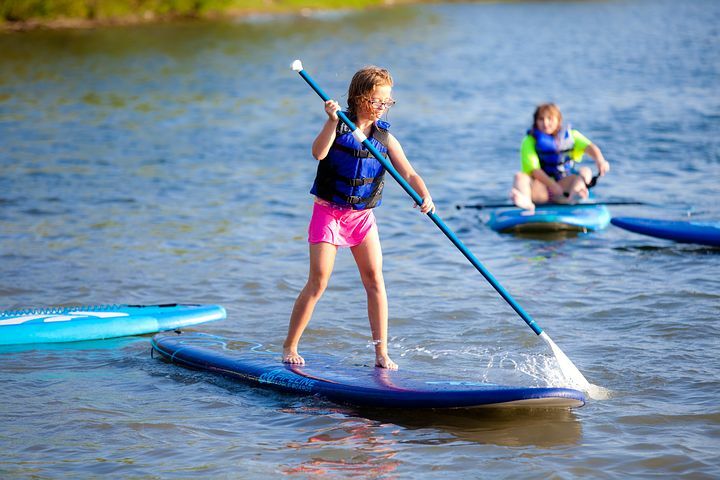 The SereneLife paddle board is a perfect option for young families who are not keen on performance and only want to have fun by the seashore. It is also a reasonable option for a strict budget-minded person who is not ready a higher amount and a higher performing alternative. This flat-bottomed paddle board is suitable for still waters rather than a running river. 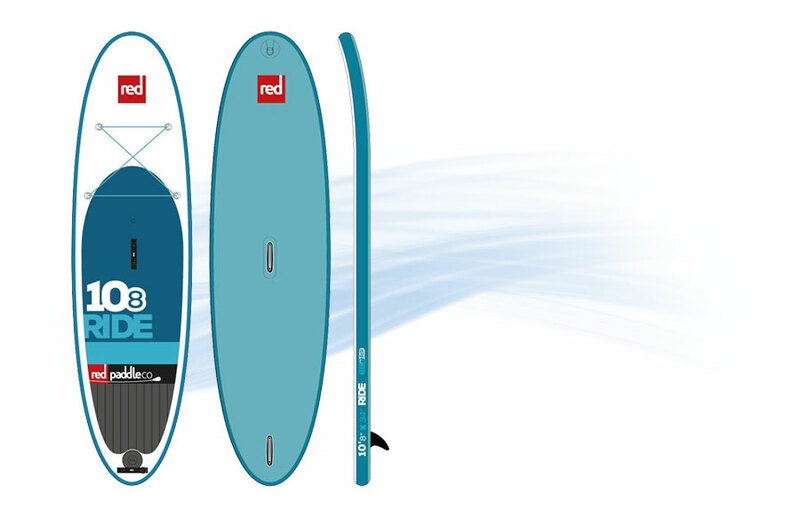 The SereneLife board has a design of fortified engineered PVC materials. These materials make this paddle board corrosion and water resistant, so the board will not be affected by any usual hitting or dropping. The 6-inch thickness along with the fortified engineered PVC materials gives this paddle board a robust rigidity. Due to the firm stiffness, this board remains balanced and stable when you are riding. The rigid design particularly facilitates the learners and novices, since they require better balancing and stability than experienced riders. This board comprises 9 D-rings in total. 4 of these D-rings are well mounted with strong bungee cords. The other D-rings are affixed with two separate sections of the vessel whereby, one is mounted near the air regulator and the rest four on the traction pad edges. 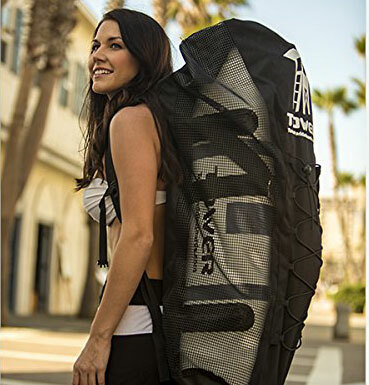 It is possible to comfortably pack backpack, foods, clothes, water bottles and such other items under the SereneLife paddle board bungee cord. The edges rings are useful in case the user may need tying up sup seats with the board. Ankle leashing is done using the ring beside the air regulator. You would remain attached to the board if you leashed up this ring with your ankle, if by any chance that you subside in water. 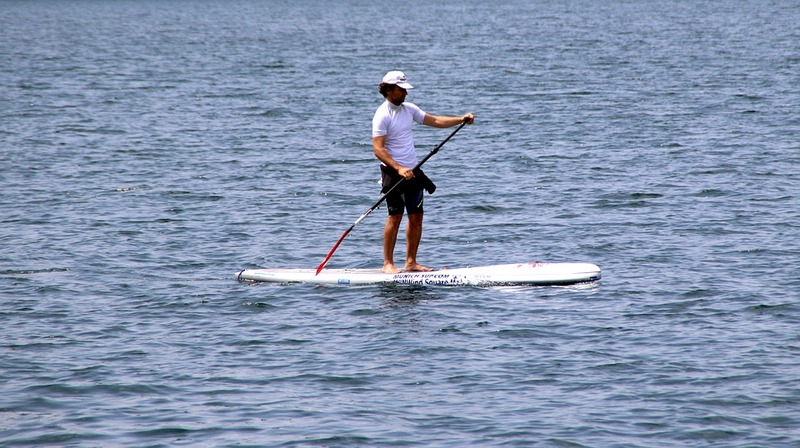 This paddle board features a single carrying handle located at the center of the traction pad. This firmly attached handle usage is in transporting the board when it gets inflated. 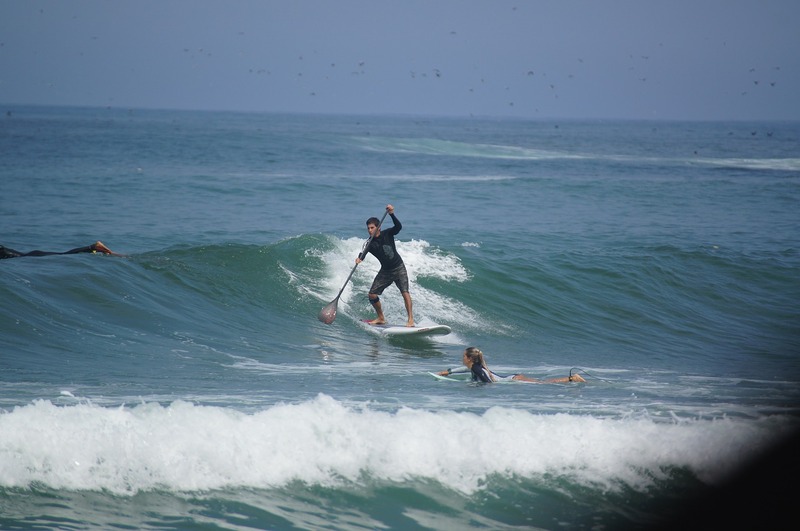 SereneLife paddle board fins warrant better riders tracking. The rider can improve the maneuverability, steering and the overall speeding using the tripartite base panel fin triangulation system. However, you can always detach and attach the center fin at ease and without any tool once the board gets inflated. About two-thirds section of its upper panel is made with a non-slip deck covering. This non-slip deck offers a grip to the knees and feet even when the splash makes it wet. It is much easier to maintain body solidity and balance while stepping on this traction deck. The deck is also a good place to make a ride with a pet, such as a puppy. 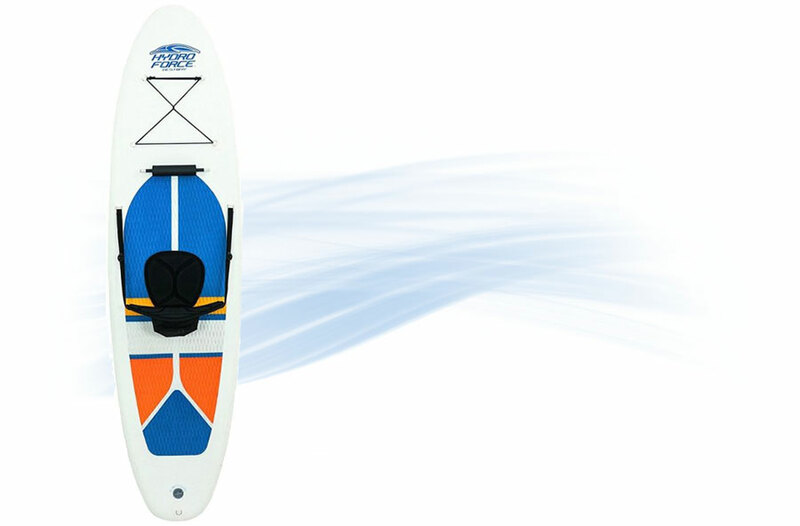 The paddle board is well fitted with a high-quality air valve from Halkey-Roberts manufacturers. This valve location is at the board tail end where it always remains closed unless during pumping time. 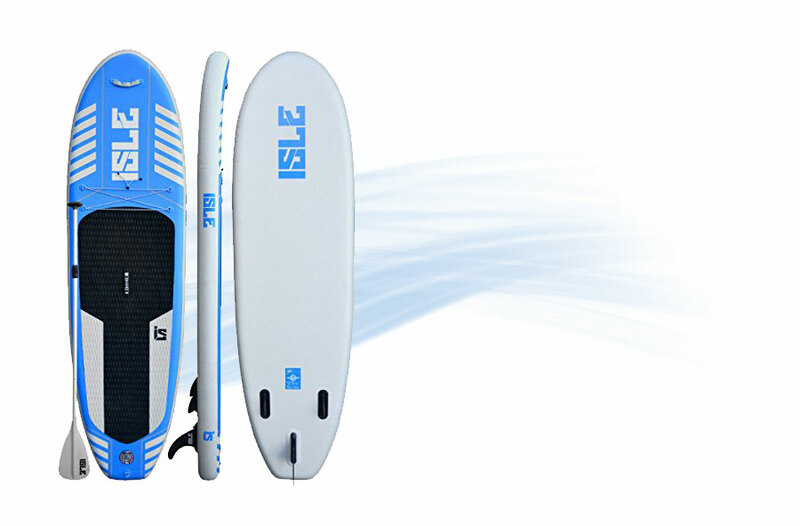 With the customized body measurement and 275lbs weight capacity, the paddle board provides you with great performance. 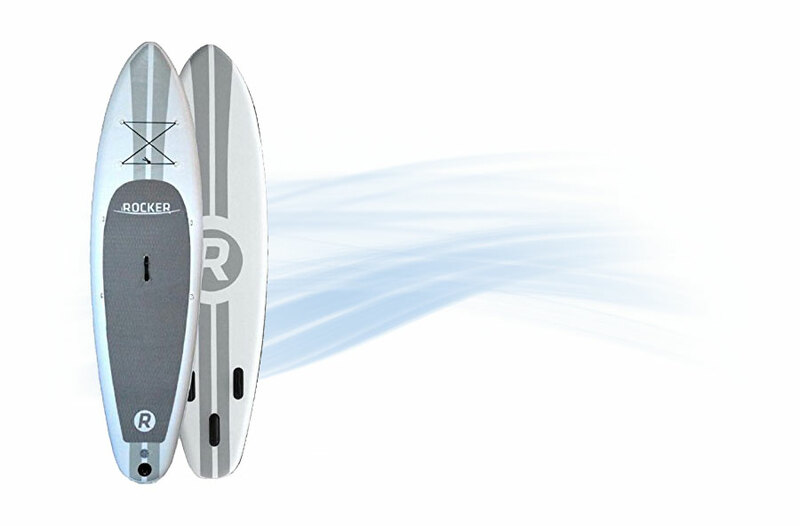 The three fins tracking system and rigid construction of this board ensure fast and stable riding for you. 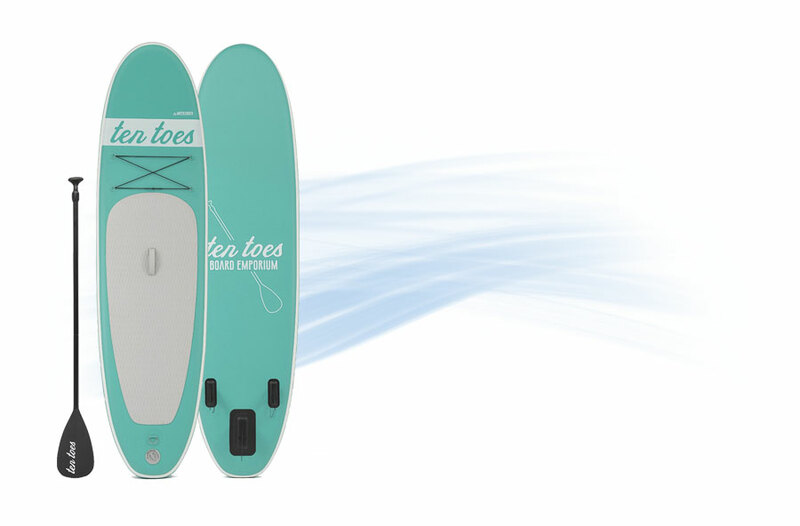 The board comes with a 30-inches surface which is spacious for more than mere riding. One can decide to travel with a pet, engage in fishing and even do yoga. 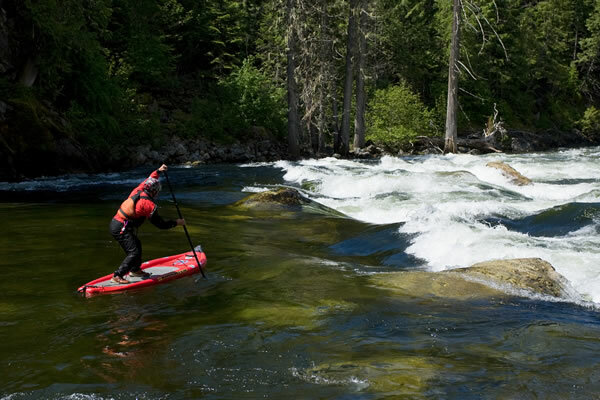 This paddle board offers the rider a strong performance in slow-moving rivers, ponds, lakes and even in ocean waters. 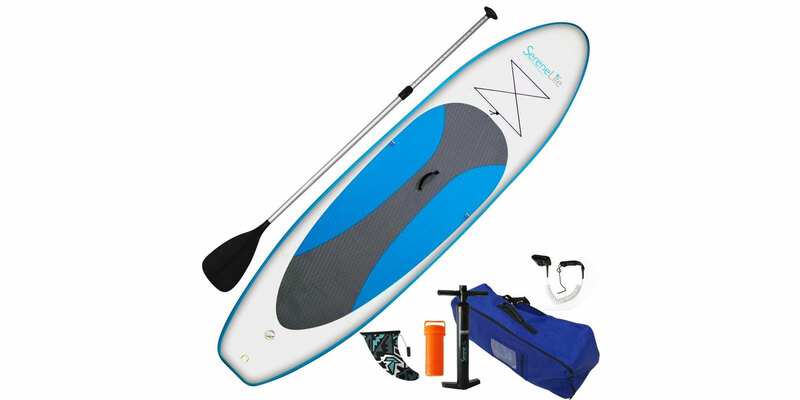 The SereneLife paddle board durability is just perfect putting into consideration its attached price. Its string making warrants it to withstand the usual hitting and shocks. Further, it has an underpinned engineered PVC which allows the rider to use it day after day without any element of tension. The SereneLife paddle board inflation process is quite easy. It simply requires connecting a manual air pump to the board air valve, and then pump till full inflated. Until then, the pumping should not stop. 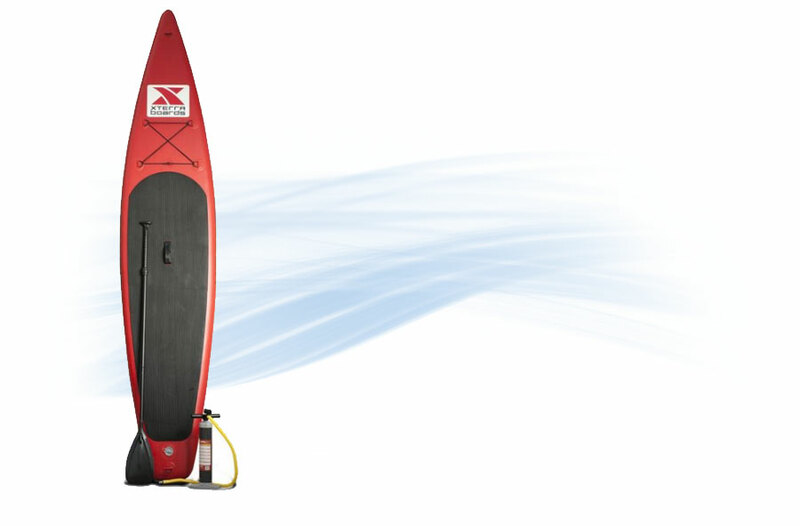 Deflating – The SereneLife paddle board deflation is even simpler compared to the inflation. It just takes the opening of the valve and inwardly pushing a little pin. Roll the board from its nose end to ensure full deflation. The board weighs just 19 lbs. Can only accommodate one person, particularly when it is an adult. The SereneLife board is best when used for personal riding. It can also be a right pick for adventurous people who frequently love hanging out with their friends in remote lakes. Carrying the board for long distance walks on your back is tireless due to its lightweight. Q: What is the most commended PSI? A: The PSI is dependent on the individual’s weight. More of these details are available in the board tutoring manual. Q: Can all the three board fins get detached? A: No, it is just the center fin which can be easily attached and detached. The rest are fixed and may require tools to remove. Q: How easy is it for a first timer to stand on the board? 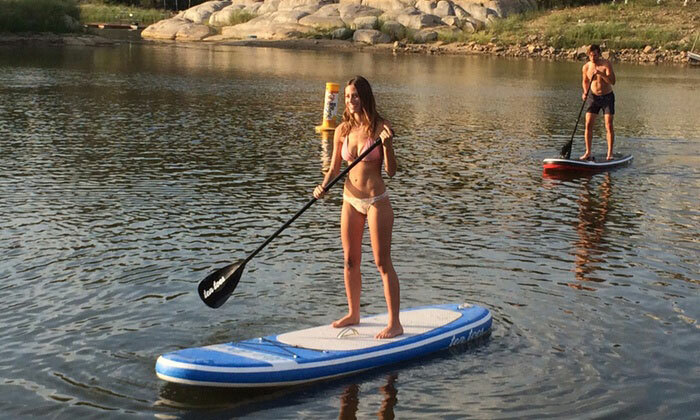 A: The paddle board is easy to balance. Though it might appear unstable when starting, it takes little time to get used. 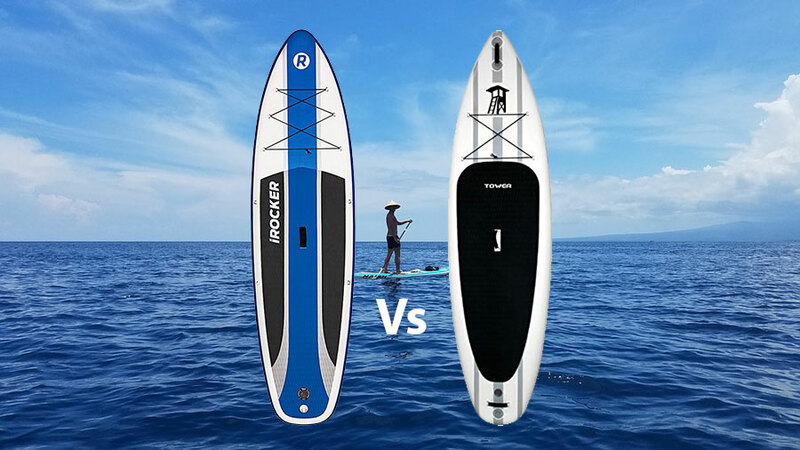 SereneLife paddle board is most suitable for two categories of people. There are them who are in search of their first-time paddle board, and those in need of an easy to store and traveling inflatable board. The board is among the best in the collection of boards when one needs to hike for a distance before getting to the ocean, sea or lake. It’s easy to inflate, deflate and roll makes it an exceptional iSUP for a family member or friends.